THANKS TO YOU - WE NOW HAVE TEDS FOR ALL OUR BEDS! Your response to our appeal in our May newsletter for #tedsforbeds, to be forever friends to the children we support, has been amazing! Thanks to every single one of you who got in touch, requested patterns, knitted, stitched and 'made with love', one or more of our lovely teds. We are delighted to report that some of the #tedsforbeds have already brought comfort to the hands and hearts of the children in our Emergency Safe-house Shelter, Calabar, Cross Rivers State (in the Niger Delta) and others are on their way there as we type! 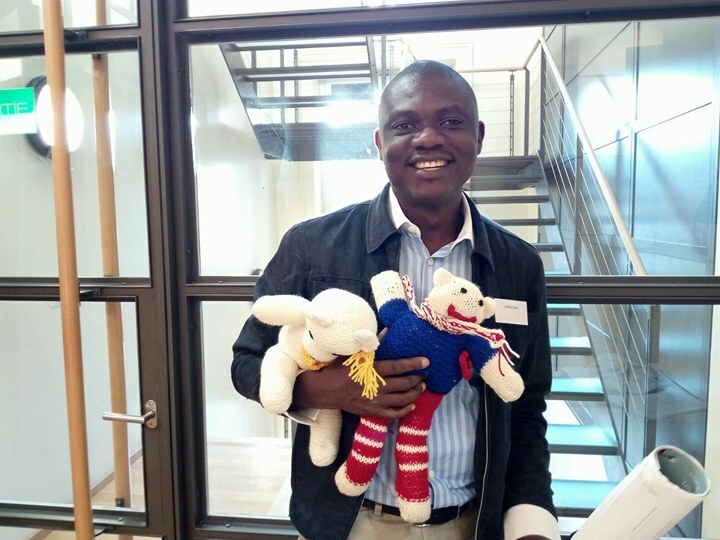 Our Projects Manager, Emilie Secker, has been lucky enough to have the company of a suitcase full of #tedsforbeds on her recent overseas travels to the United Nations Human Rights Council meeting on witchcraft-related human rights violations and very soon these teds will be in the arms of their very own forever friend, in one of our projects. We are delighted that so many of you responded to our appeal. Thanks to your fantastic support, we have enough #tedsforbeds for our Emergency Safe-house Shelter, but should you wish to send in any made with love companions that you are currently making or have recently finished - we would love to receive them and will send them with our next dispatch! Please get in touch with us at info@safechildafrica.org BEFORE sending, to ensure their safe receipt. As you will see the charity will have new address and contact details from the end of September. You can find our new address here.